HomeBest Out Of WasteDIY Projects : Recycled Button Craft Tutorials You’re Gonna LOVE! 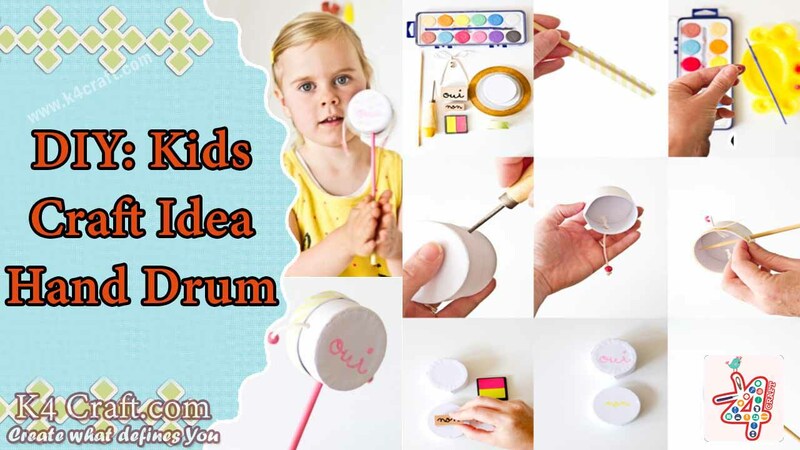 Let us make a bowl out of those old buttons we need some old buttons, a balloon and glue. Tape the balloon to a base and put the glue in an open mouthed container for easy use. Use a brush for easy application. Just put some glue on the balloon and put on some buttons on the glued area. Apply a top layer on the buttons. Let it dry and when the system is completely dry then just tear the balloon away. So, your button bowl is ready to keep your things. For video representation of the procedure watch this video. Now we shall move on to some 3D button art. 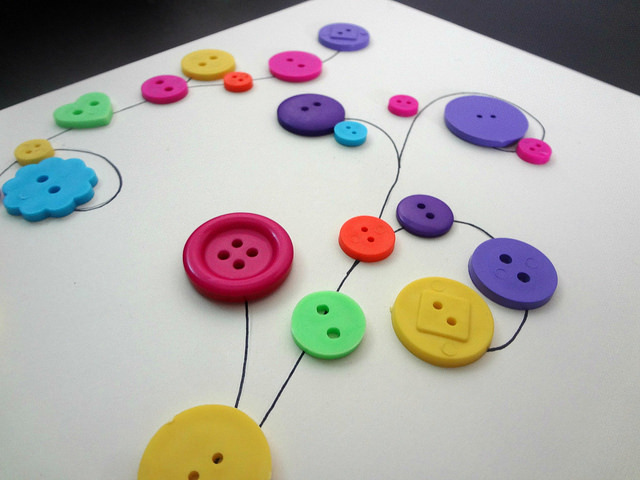 We need an A4 sized canvas, a template, scissors, pencil, a glue gun and your favourite coloured buttons. Now let us get started. Sketch your template on the canvas. Then just place the buttons in the order you wish to place them before gluing them on. It ensure that you get the desired design without ruining the effect of each placement. Then at last glue and secure the buttons in their places. 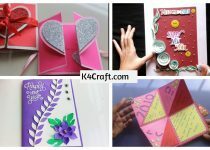 You may keep the artwork in your scrap file or gift it to someone or frame it. Look up this link to get the full procedure in this video. You may even go for specified button artist packs. First of all choose the letter you want to make. You may make the letter on your own as well. Then just lay down your buttons on the side. We will be using the crafty glue for this project. Use the biggest buttons first. Just arrange them and glue them on. Then start taking up smaller buttons and fill in the gaps you have in your art work. It makes your letter seem fuller and better. Just secure all the buttons well. You may watch this video for tutorial. Button Bib Necklace Jewellery How To! Now let us make some jewellery from old unused buttons. First of all arrange all the buttons in the desired arrangement. Click a picture for reference on your end product. Then take a thin wire and thread it through the buttons securing the buttons in the desired arrangement. Keep looking for the reference so that you do not stray away you’re your design. Just keep on looping through the buttons. Make sure that none of the buttons remains loose. When you are done with your looping see once more if it close to your desired arrangement. Then take some jump rings pull the open and pull it through the loop made from the wire at both ends of your design. Put in a chain through the jump rings. Put the eye and key through the chain and lo your necklace is ready to be worn to any occasion you wish to wear it to. Look up the video for the complete procedure. You can make an attractive framed portrait. And frame a button art inside. First of all cut out the outer dimensions of the frame. Then take it inwards, and make the required cuts. Cover the frame skeleton with a coloured paper and then secure the coloured sheet covering all the bare cardboard pieces. After covering all the bare cardboard with the sheet cut a nice background for your art work with respect to the dimensions of your frame. Now arrange the buttons in the design you intend to make. Glue your buttons once you are satisfied with your design. For further information watch this video. Now let us sew some button flowers on canvass. First of all secure the canvass on the sewing frame. Now mark some positions to make flowers. Then sew some stalks with brown thread. Now sew the buttons of your choice and make beautiful designs with the buttons you like. For further information on the procedure watch this video. This video provides all the possible ideas for button art. You may make different types of trees. The wind billowing through cherry blossoms or the lush greens of the forest, all can be realised through the art of buttons. Different kinds of button bowls or the artefacts. You can even make showpieces which look adorable and can be easily realized on thermocol moulds. Beautiful necklaces and earrings made out of buttons show your creativity and bend towards uniqueness. You can either make frames out of buttons or frame your art made with buttons. You can even make a lamp covering using buttons. It filters the light in a very mellow manner. Christmas art pieces made out of pristine buttons look so awesome. You can even make beautiful bookmarks with buttons. They just do not let the pages fly with the wind and are lightweight as well. Hope you enjoy these recycled button craft tutorials. Have fun realising these ideas.